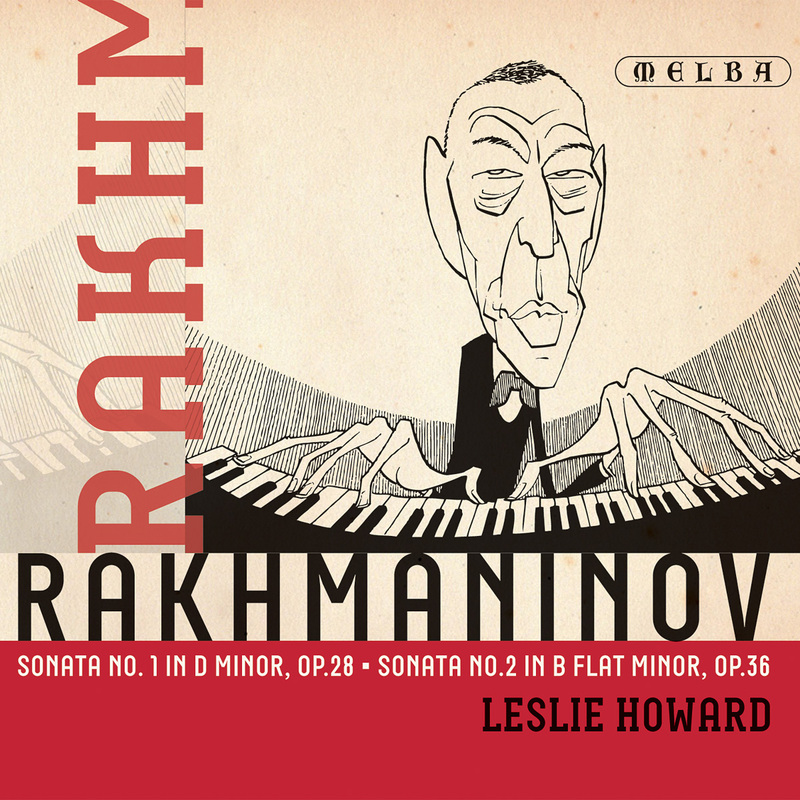 The celebrated Australian pianist Leslie Howard makes his debut on Melba Recordings with RAKHMANINOV’s Sonata No. 1 in D minor, Op. 28 from 1907, and the Sonata No. 2 in B flat minor, Op. 36 in its original 1913 version. Following its premiere performance the hyper- critical Rakhmaninov radically simplified the work. In this release we hear the sonata in its original splendour. This is the world premiere recording of this coupling of the two Rakhmaninov Piano Sonatas. The recording also includes 4 exquisite miniatures written by Rakhmaninov for his own entertainment, Three Piano Pieces from1917 and Nunc dimittis, Op. 37 No. 5, arranged for piano solo as Vesper Mass – V – Lord, now lettest thou thy servant depart in peace’ St Luke, 2:29. Leslie Howard is an authority on Russian music with important world premiere performances of works by Anton Rubinstein, Tchaikovsky, Glazunov and Stravinsky. Leslie is a towering musical genius and one of the most prodigious pianists working today. His passion for new musical experiences shines through in performances which combine a formidable technique with a wealth of scholarship illuminating rare and mainstream repertoire. Born and raised in Melbourne, Leslie Howard studied at Monash University, focussing on both musicology and performance. He has lived in Britain since the seventies and maintains one of the busiest solo schedules of any performer on the international circuit. Sergei Vasilyevich Rakhmaninov (1873–1943) composed three sonatas, one for cello and piano (Opus 19), and two for solo piano (Opp. 28 and 36). Apparently, the composer wished his First Piano Sonata to have its first performance in Russia—he had completed the composition in Dresden in 1907—and so he unusually entrusted the premiere to someone other than himself: Konstantin Igumnov (1873–1948), later a celebrated recording artist and professor at the Moscow Conservatory. In consequence, we have some information about the background to the piece which otherwise might have been forever unknown to us. The ‘secret’ program—three movements inspired by the characters of Faust, Gretchen and Mephistopheles (as in Liszt’s Faust Symphony)—and many details of revisions, excisions, elisions and general improvements over the first months of the work’s concert life prior to publication have become known because of the correspondence between Rakhmaninov and Igumnov. (I am deeply indebted to the Australian pianist and musicologist Scott Davie for generously letting me see his report on the original manuscript of the work.) Whereas the sonata’s immediate precursor, the Second Symphony, is almost overcharged with very long, great arching melodies, this work is almost austere in its use of the tightest nuggets of musical information. It also shares some characteristics with its successor work, the symphonic poem The Isle of the Dead: the use of the Dies irae plainchant in the last movement is the most obvious, but the rhythms and harmonies of the middle section of the second movement show the deepest kindred. The first movement (Track 1) is a bold symphonic Allegro (Rakhmaninov thought for some time of turning the whole work into a symphony) characterised by two motifs heard at the outset: a rising and falling fifth plus a perfect cadence and then a four-note motif, D-C-D-A. This material extends itself in a sequential manner, under a long arch of a rising and falling scale. The second theme, chant-like, hovers around its principal note. Scale patterns and triplets constitute the background of the development, which is tightly derived from the two opening motifs. The return of the second theme in the ‘wrong’ key of D flat is punctuated by the briefest references to the opening motifs before it resumes its course in the home key. (Apparently, Rakhmaninov originally envisaged a more literal recapitulation.) A cadenza-like climax towards the end subsides to reveal the motif of the second movement—a falling second and a rising fifth—before the final reference to the chant, in D major, perhaps attesting to Gretchen’s redemptive power over Faust. The main material of the second movement (Track 2) is simple and tranquil. Cast in F major, it presents the same innocence that we find in Rakhmaninov’s wonderfully delicate song ‘To the children’—in the same key, and composed in the previous year. The middle section is more troubled: the four-note motif from the first movement is bent to resemble the main motif of the second, and the intense contrapuntal argument is finally released in a cadential flourish. Although the original music returns with some subtle elaboration, the real resolution and apotheosis comes in the coda, with its magical chain of trills. Rakhmaninov took this sonata on tour to America in 1909, along with his new Third Concerto—in the same key but, just as he did with his other large-scale piano works (the Second Sonata in both versions and the two sets of variations, Opp. 22 and 42) he ceased to promote the work himself after just a few performances. It has taken the pianistic world many years to accord these works the same loving attention that it has long lavished on the concertos and the Paganini Rhapsody! We just happen to know from Rakhmaninov’s correspondence that the mighty First Sonata was inspired by a reading of Goethe’s Faust. It is unthinkable that there is not some other major extra-musical impetus behind the composition of the Second Sonata of 1913. (Both pieces were subjected to pruning, condensation and general revision before publication.) There is a sense of narrative in the piece which defies the usual analysis of a symphonic structure, tight though it is. Much of the music derives from the opening downward flourish, which is immediately revealed as the source of the principal theme. The first movement (Track 4) may be in sonata form—the first theme as bold and dramatic a gesture as its composer ever conceived, the second theme hauntingly static (it derives from the first, and hovers around a single chord, with tiny fluctuations of harmony)—but one has the sensation of a tale being told, especially when there is a last recall of a fragment of the opening material at the coda, and the whole movement defies its innate grandeur by spiralling away. The little phrase that opens the slow movement (Track 5), and that does similar duty for the finale (which follows without pause) is almost outside the compositional process proper, and the slow movement itself is in two parts, the first of which is like a song without words, and the second of which ignores the theme of the song until the very end, investigating instead the material of the first movement in a new tempo. The rocking theme of the slow movement is transformed and combined with the opening of the whole sonata to make the theme of the finale (Track 6). Here Rakhmaninov adds a typically lyrical second theme which almost remains aloof from the actual musical argument, and whose second appearance is subsumed in the frenetic coda. This finale is also outwardly in sonata form, but makes clear its strong thematic connections with the first movement when it breaks unexpectedly into an extraordinarily beautiful reflective episode just before the recapitulation. The Second Sonata is dedicated to Matvei Pressman (1870–1937), Rakhmaninov’s fellow student in Nikolay Zverev’s class of the late 1880s. The critical failure of Rakhmaninov’s splendid First Symphony in 1897 famously brought on a four year-long period of self-doubt. The similarly frosty reception of his fascinating Fourth Concerto in 1927 provoked another, at the end of which, in 1931, Rakhmaninov produced a heavily-pruned version of this sonata. Despite one or two winsome touches, this version rather depletes the original structure and spirit of the work. For many years the original edition was suppressed, but in recent times it has been properly restored to print, to the concert platform and to the recording studio. (There are, to be fair, some champions of the revised version, but no musician should ever give even a passing thought to a ‘pick and mix’ version of the two texts.) A careful study of both editions, these days published in tandem, shows how harshly the composer judged his own original work, so full of the magnanimous gesture, so resonant with the ever-present tolling of bells (Rakhmaninov composed his choral symphony The Bells in the same year), so notable for the concentrated distillation of its material: in fact the last and one of the greatest of the Russian Romantic sonatas. When Rakhmaninov composed what would be his last character pieces for the piano (Tracks 7-9), he knew that he was about to leave Russia forever. He managed, over a period of just two days in November 1917 to write an aching threnody, a defiant bit of true grit, and a little piece of almost unbearable nostalgia. Although he did not publish these pieces together—indeed, the first piece remained untitled save for its tempo direction (it may even be, given that the manuscripts are untitled, that the English titles printed on the other two pieces were suggested later to the composer) and it was not printed until 30 years after his death—the circumstances of their composition clearly warrant their being placed together. 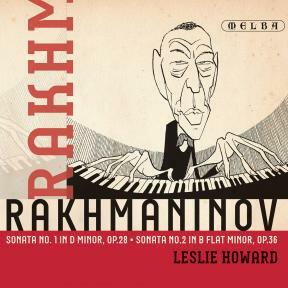 Despite Rakhmaninov’s colossal misgivings about the accuracy of the text, the 1934 biography Rachmaninoff’s Recollections, as told to Oskar von Riesemann does contain some valuable information and several facsimiles of Rakhmaninov’s music. Chief amongst the latter is the piano solo version of the fifth movement—Ныне отпущаеши (‘Ninye otpushchayeshi’)—of the Всенощное бдение (‘Vsenoshchnoye bdeniye’—All-night Vigil), otherwise known as the Vesper Mass or, plain and simply, as Vespers (Track 10). It is a great service which combines Vespers and Matins and Rakhmaninov’s Opus 37 is unquestionably one of the great masterpieces of Russian liturgical music. As is well-known, Rakhmaninov wished for this movement to be sung at his funeral but his request was not fulfilled. Strictly speaking, he arranged the whole of this liturgical work for piano, at the very least as a rehearsal aid, and it is a great consolation and joy to play the reduction in private. The fifth movement, however, was the only one that he wrote out as a piano piece. The musical text is very close to that in the score of Opus 37, but there are a few small yet important differences. It seems that Rakhmaninov made the manuscript on purpose for von Riesemann’s English-language biography. It certainly did not come from the archives of the Éditions Russes, as von Riesemann states, where the title and all musical directions are in Russian only. Here they are in English, and Rakhmaninov includes just the word ‘light’ at the appropriate point in the score—the high whole-bar third of E flat and G, about half-way through the piece (‘to be a light to lighten the Gentiles’). Whilst the piano version cannot reproduce the thrill of Russian basses descending to low B flat at the end, the transcription has a very compelling atmosphere of its own, and seems very apposite to the text of this Song of Simeon.